Aduana Stars are without a coach after parting ways with Kenichi Yatsuhashi. 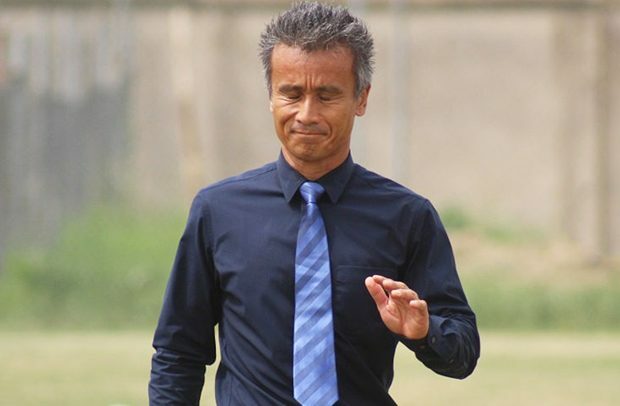 Aduana Stars have parted ways with their gaffer, Kenichi Yatsuhashi, by mutual consent after less than two months in charge of the Ghanaian giants, GHANAsoccernet.com can confirm. The decision to terminate the contract of the Japanese-American coach was reached on Monday evening after the two parties met over the future technical direction of the team. The decision followed the club’s exit from the CAF Confederation Cup group stage after suffering a 6-0 thrashing in the hands of Moroccan giants Raja Casablanca in the midweek. The two-time Ghana Premier League champions are expected to appoint a new head coach in the coming weeks. Aduana were the third club Kenichi has coached having been in charge of Hearts of Oak and Inter Allies before sealing the switch to the Dormaa side in July. He took over from Yussif Abubakar who was fired by Aduana for bad result but he also failed to improve the fortunes of the club which might have led to the decision. Kenichi was appointed by Inter Allies in November last year, 17 months after he was shockingly fired by Hearts of Oak after making huge waves with the Accra-based giants.